You are at:Home»Makeup»Lip Makeup»Match Lipstick Shades With Your Skin Tone For A Perfect Look! 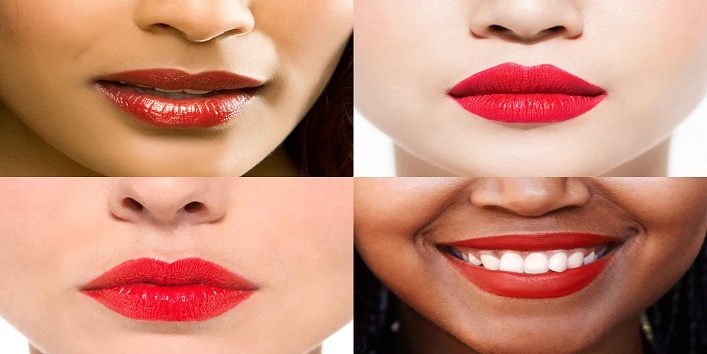 Match Lipstick Shades With Your Skin Tone For A Perfect Look! 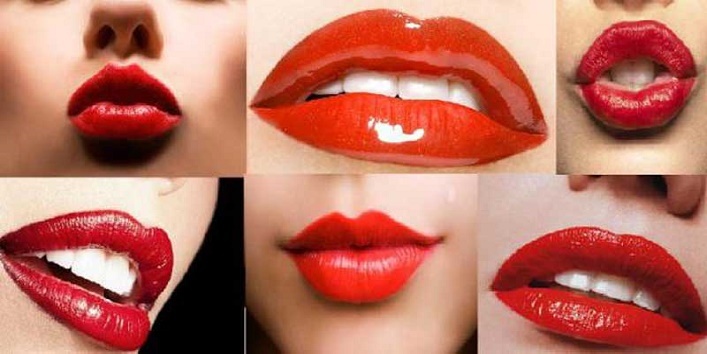 Women are going bold & beautiful all around the world, showing off their stunning features, highlighting their beauty and making statements with amazing new lip shades, to be followed by million others, to make it a trend. But trending is never about disasters ladies, it’s about what makes you bold and confident with whatever you plan on carrying every day. In this article, you will know how you can match up a gorgeous lipstick shade with your perfect looking skin tone, every time you walk out of your house. Lipstick can either refine your look or turn it into a complete monstrous look. So, if you want to avoid the latter then find your match and flaunt your amazing luscious lips without having to become a disaster. The best thing about the dark skin tone is that bright colors look prettier on it than they do on fair skin colored people. People will dark skin tone have the gift of carrying any bright shade fluently anywhere anytime and look beautiful without much effort. But the beauty of dark skin tone people is that they can equally flaunt rich and dark colors as well. Making the lipsticks look better rather than their own appearance, colors like Burgundy and Dark Red fits perfect for dark skin tones. 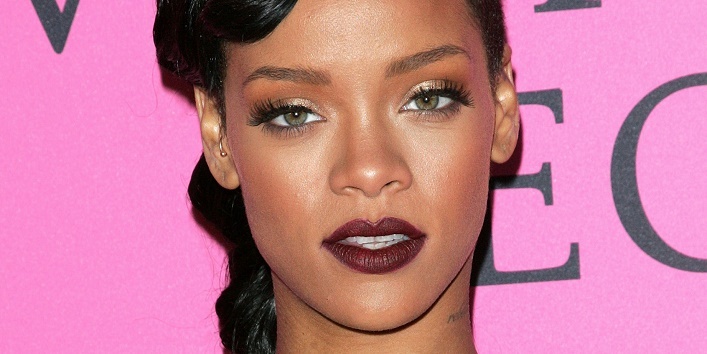 AVOID light or pastel lipstick shades, if you have dark skin tone. Also, avoid metallic shade of lipstick, otherwise it will make your skin look darker. Wheatish skin tone is considered the finest skin all around the globe because girls with wheatish skin can flaunt almost every lip color effortlessly! Be it orange, red, brown, pink, or anything that you want to try on, there is no problem for you with the wheatish skin tones. Even metallic shades, that are in trend right now, looks stunning on wheatish skin tone. AVOID purple, dark blue or dark red, for they might even make you look darker or get smudged with your skin tone, weirding it out on occasions. Also, avoid glossy lipsticks or too much shimmer. Those who are blessed with fair skin tone are known to have the best skin type. Like wheatish skin tone, fair skin tone people can also flaunt almost every color without any efforts to look any better. The best colors that suit this skin type are light purple, various shades of pink and medium to dark red. Also, various blue hues will look god on fair skin tone. AVOID dark shades of blue, orange, black or green, for they might make you look odd and dull. Also, avoid bright red shade of lipstick, for it will not look as bright as it should in contrast to your fit skin tone. Having a pale complexion doesn’t mean that you don’t need to add on any makeup to look flawlessly beautiful. In fact, an appropriate lip color is what you have been missing until now. Try pastel or light shades of lipsticks as it will perfectly compliment your already perfect skin tone. You can also try bright red, blue or purple as well. AVOID applying dark colors like brown, maroon and red, as it may add paleness to your already pale skin. Due to a similar reason, avoid wearing metallic and bronze shades as well.